Product Description: Saphhire GaN template is presented Epitxial hydride vapor phase epitaxy (HVPE) method. In the HVPE process, the acid produced by the reaction GaCl, which is in turn reacted with ammonia to produce gallium nitride melt. Epitaxial GaN template is a cost-effective way to replace gallium nitride single crystal substrate. Product Positioning C-axis <0001> ± 1.0. GaN epitaxial film (M Plane), N-type, 2 "* 5 microns sapphire. Note: according to customer demand special plug orientation and size. 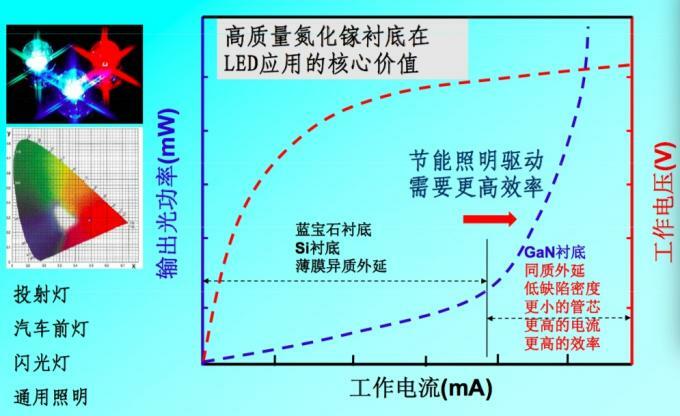 2.ZMKJ provides GaN wafer to microelectronics and optoelectronics industry in diameter 2" to 4". and InGaN . Besides standard GaN based wafer,you are welcome to discuss your epi layer structure .